The parts assembled, minus the GM tube is shown in figure 23. 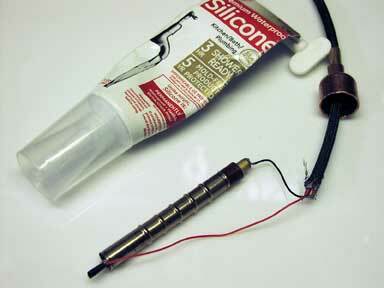 The GM tube is soldered to the end of the cable wires. After soldering I covered the ends with clear silicon and let it dry over night. The silicon acts like insulation, see figure 24. 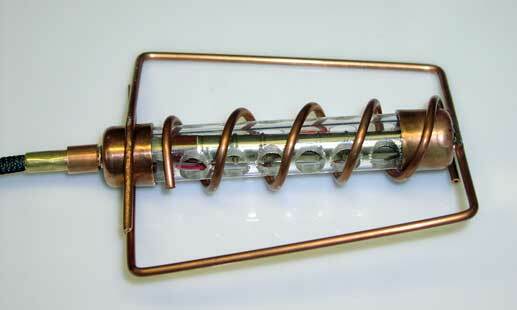 Placing the tube into the assembly completes the wand, see figure 25. 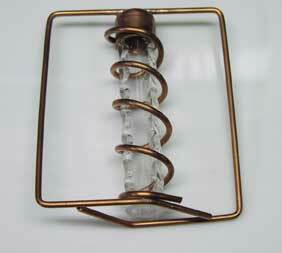 The copper pieces can be secured with a little glue or epoxy. I used a small amount of silicon to hold the components. The silicon holds everything together just enough. If needed I can disassemble the wand for upgrades or repair.